Oh my. 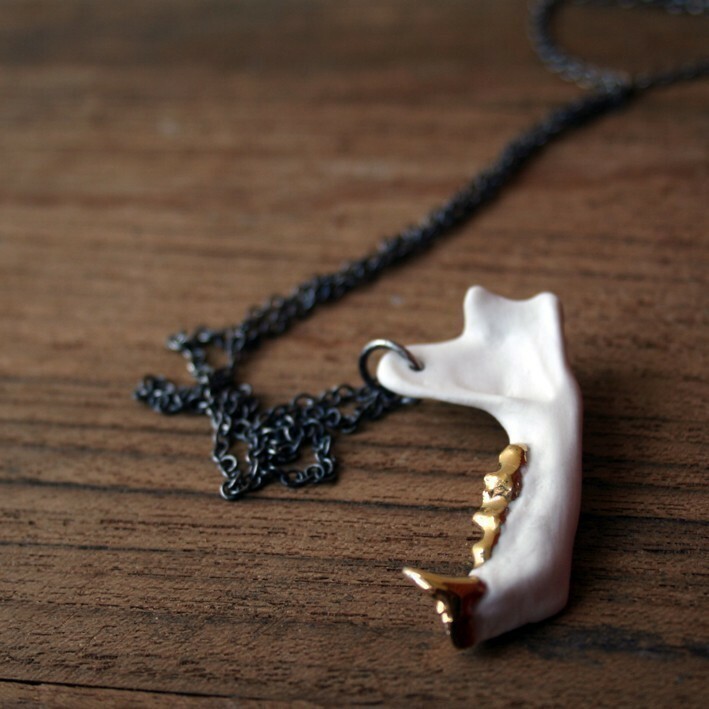 I need this dark and brooding jaw bone dangling over my collarbones - the mixture of metallic glamour is almost unbearable. This porcelain skunk Jaw Pendant makes me weak in the knees. Well done, Beetle & Flor. Well done.